Marketing and talent lead Jane Fordham and head of digital Alex Brittain (pictured) are among a spate of senior figures leaving Golin's London office, although the business has recently been boosted after successfully re-pitching for npower. Fordham has been with Golin for nearly 15 years, and is due to go freelance to concentrate on diversity issues. Latterly, she has been helping craft Golin's reputation as a forward-thinking employer both in the UK and globally, with programmes such as its 'returnships' for mothers coming back from maternity leave, as well as its unlimited leave programme. Brittain is a newer recruit - he joined at the end of 2016 from online marketing firm Razorfish. PRWeek has also learned that Sian Boisseau, executive director of the firm's healthcare practice since 2012, and HR director Fraser Sinclair left last year. A further six staff in junior and mid-ranking posts across the corporate and tech teams are also leaving. 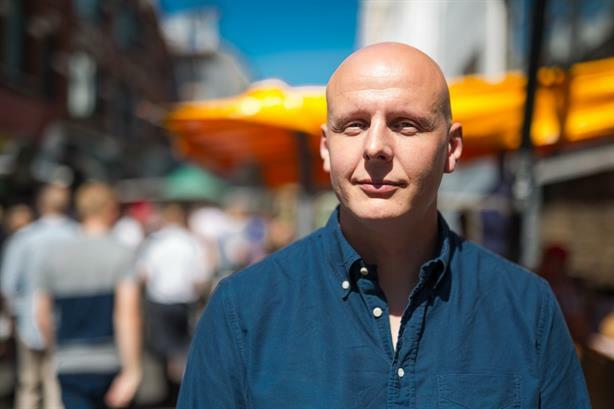 These are in addition to the departures in the second half of last year of creative lead Charlie Coney, who transferred to a role in Golin's Los Angeles business, and social and digital head Neil Kleiner, who has joined Porta. It can also be revealed that its UK consumer and corporate brief with energy firm npower has been extended after a review last year. Elsewhere, the business has recently won a major new brief with German pharma firm Merck and appointed a new UK deputy MD and a new global head of data and analytics – the latter after Daniel Stauber took a role in Dublin with Facebook. Golin's UK MD Bibi Hilton said: "Golin has incredibly long tenure: a quarter of our team has been with us five years or more. With 160 people in our London office, inevitably their lives change while they’re with us, which occasionally means they want to do something different. "We’re proud that we created a role for Charlie Coney in LA and support all of our people in realising their ambitions and potential. This January, we have won more new business than at any time in recent history. Change can be a good thing and with Emily Luscombe as our new deputy MD and Jonny Bentwood as our new global head of analytics, we are looking forward to an exciting 2018." Of the npower retention, she said the firm was proud of its work over four-and-a-half years with the firm, including its launch of Fuel Banks and initiatives in support of cancer charity Macmillan. Zoe Melarkey, npower head of consumer PR, said: "I’m excited to be working with Bibi and the team at Golin again this year. Following the announcement of the planned merger between npower and SSE, it makes sense for us to retain with an agency which really understands our business." The firm was 17th in the PRWeek UK Top 150 for 2017.